Expert high access cleaning services. We will beat any quote by 10% – Call Us! Let us help you with the high access cleaning and maintenance of your offices &buildings. To assist you with your regular maintenance and safety checks and, at the same time, save you money we can take qualified experts up with us to the highest areas of your building. For example allow electricians access to the lighting, security systems, perform air conditioning maintenance or roof surveys. All high access cleaning staff are trained and we have operatives trained to work at heights with IPAF quality certification. Bespoke high access requirement? No problem! If you have a specific requirement then contact us and we would love to help. We can advise on how to safely set up the right platform to get the job done. Whether you’ve just finished exciting renovations on your home or you’ve just moved in to a new-build property on what is still a bit of a building site, you’ll need a good clean. 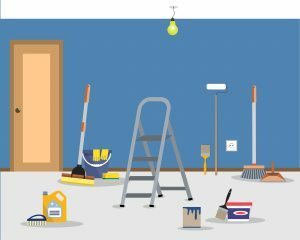 No matter how careful you were during the renovations or how well the builders tidied up after completing your home, there’s bound to be paint blobs, dust layers and cement drops in various places. Dust is not only annoying but can exacerbate allergies and cause respiratory problems, so you’ll want to deal with it right away. The very first thing to do is open the windows and ventilate the property. To make everything feel nice, new and fresh, you’ll most likely need to consider a deep clean to rid your home of dirt and dust. This might include furniture, walls, carpets, windows and work surfaces. For such a task, think about builders clean Cheltenham and Gloucester builders cleaning services from Intocleaning. You’ll be keen to get this done as soon as possible so you can enjoy and relax in your beautiful new home, but at least wait for the dust to settle literally. This could take up to two weeks for the air to clear sufficiently for an effective professional clean. Cleaning too soon before the air has cleared will mean it needs doing again almost straight away. 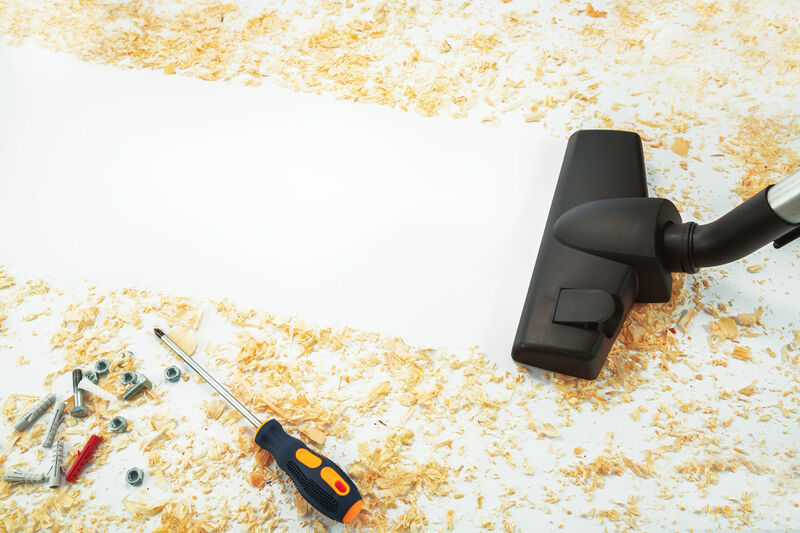 Sweep up any remaining rubble or debris first before thinking about the finer surface dust that has accumulated. Use a vacuum cleaner on all carpets and upholstery to prevent further damage or possible staining from occurring. You’ll need to repeat this process every few days during the first fortnight to eliminate fine dust particles hanging about in the air. Wipe down any surfaces or flooring made from wood, stone, tiles or laminate with a gentle non-abrasive cleaner and warm water to clean away any lingering surface dirt from building work. Curtains and window blinds will also be harbouring dust, so you will most likely need to take these down to wash as well. Wiping down the interior walls and the insides of your windows is also recommended to remove dust and dirt. For anyone who has completed a full house renovation, the clean-up task can seem overwhelming. 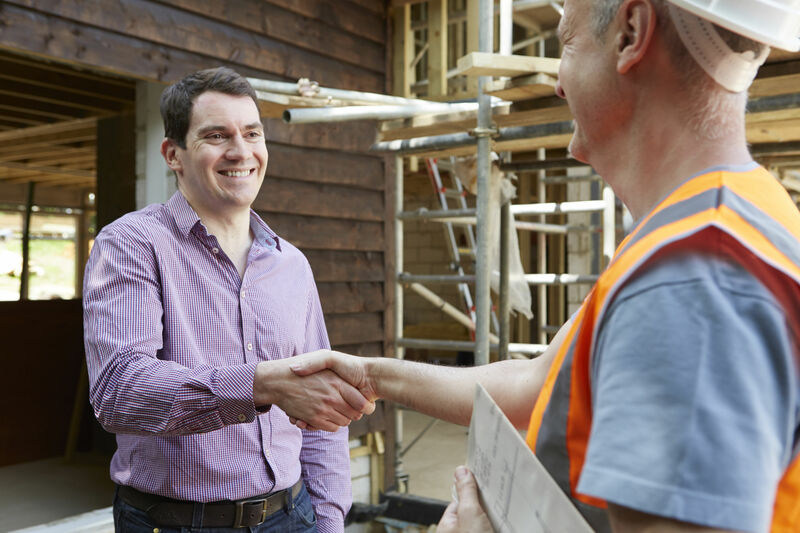 Renovating a home is mentally and physically exhausting, so why not leave the labour-intensive task of clean-up to the professionals? Everything will need a deep clean, including walls, ceilings, floors, windows, furniture and lighting to get a sparkling finish you can feel proud of. It can make life a lot easier to hire a professional with expertise and access to the best materials to complete this final step for you.